Brigit's Scraps "Where Scraps Become Treasures": Trendy Twine's Totally Limeade Blog Hop! 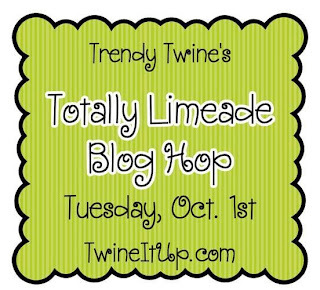 Trendy Twine Totally Limeade Blop Hop!! and I have a fun project to share!! 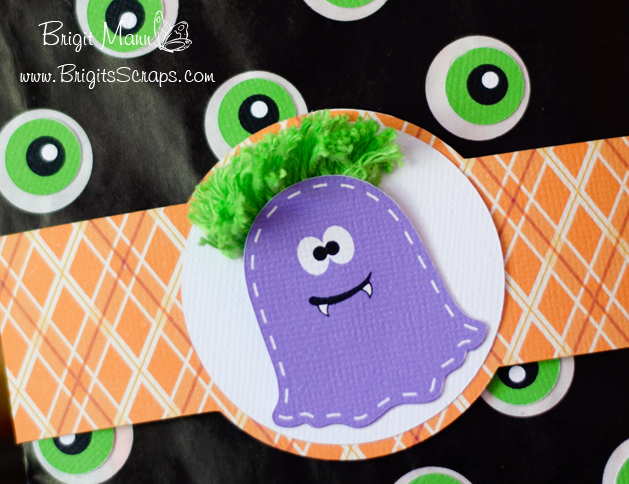 A cute purple monster with totally limeade hair treat bag!! 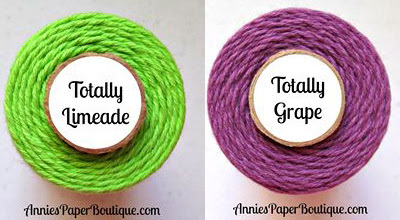 I love this color twine, I can see if being used for many occasions throughout the year. The black polka dot bag is also from Annie's Paper Boutique, I just added the green eyes. The stamp sentiment is from Jaded Blossom's Halloween Treats stamp set. A closeup of his pretty totally limeade hair, he's from the Silhouette Online Store!! Now on to the giveaways!! 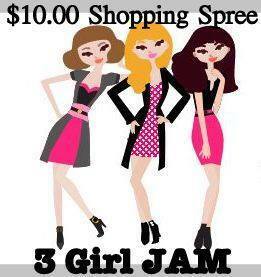 Last a $10.00 Gift Certificate from 3 Girl Jam! 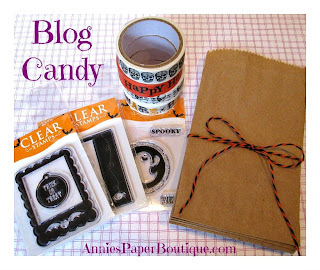 To be entered for a chance to win, be sure to follow and comment on each blog (including the Trendy Twine Blog). 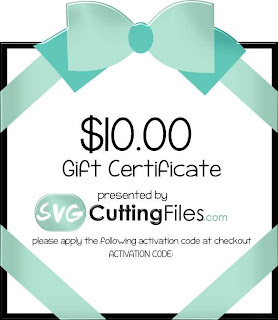 You have until 11:59 pm Central Time, Friday, October 4th, to enter. Thanks for stopping by, hop on over to Kate's Blog to see what she's made for us!! Click here to like the Trendy Twine Facebook Page. Click here to join the Twine It Up Facebook group! This is so super adorable Brigit! 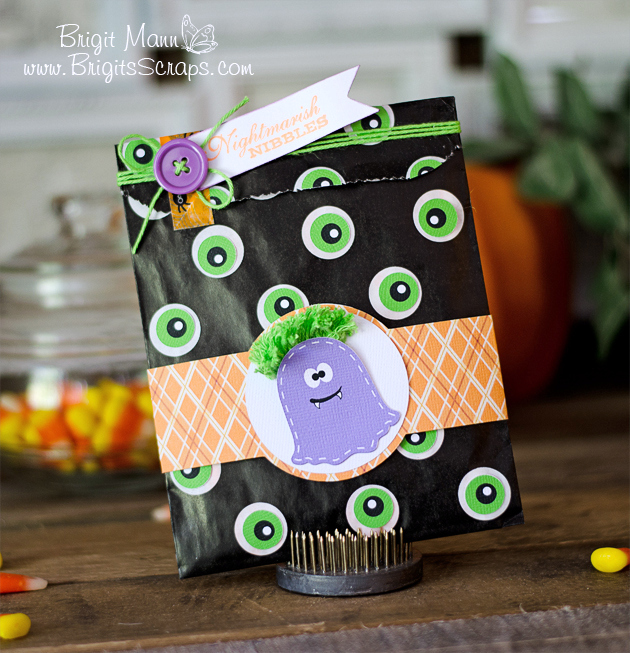 LOVE that monster with his green hair and the way you decorated the bag with the eyes...Such a fun Halloween treat idea!! Cute, cute, cute!!! Love that twine used as the monster's hair!! Awww so cute! The totally limeade hair looks great! What an adorable little monster - LOVE the hair! I also love the eyes on your treat bag, what a fun idea! How cute is your little treat bag! That hair is killer!! Love it!! Love the eyes and the hair!! Super cute! "eyes" see you. Great card. Giving that monster a fancy green 'do' makes him much too cuddly to bear the designation of monster! Brigit, this just cracks me up. It is too cute. I love that hair and the funny expression. Great job. Thanks for participating. LOL!! I love that little monster and his hair is adorable!! Oh my gosh that little guy with the green hair is adorable! Just too stinkin' cute! You did a great job with the google eyes on your little bag as well. GREAT project...big smiles! that is super cute with the eyes on the bag. Very, very Cute and FUN!! that is some seriously awesome hair!!! love this!! This is just too cute, love the hair on that little monster. Awesome twine hair for your monster. Love it! Love the hair! Too cute! Great treat bag! what a cute monster!! Perfect for boys!! From a Mom of 3 boys!! Oh my gosh, what an adorable lil monster, fantastic job hilighting the twine. Super cute! Love the hair! The colors of the twines are soooo pretty! I love how you dressed up this black bag with the eyeballs and your monster's hair...adorable. Holey Smokes this bag is super cute! Thanks for giving us all such a wonderful and delightful idea. Love that hair! Too cute! Brigitte, that hair is too, too cute! Love this bag! This is such an adorable project! Wow. This is sooo freaking cute!!! omg...love the hair!!! this is such a cute bag!!! What a neat idea to use the twine for hair!! He's so cute!! Eeek...super cute little monster:) LOVE the twine green hair...lol! Super cute gift bag to! TFS! Cutest card ever. I love the hair, too cute and very creative. This is just too cute, love the green hair on your monster!